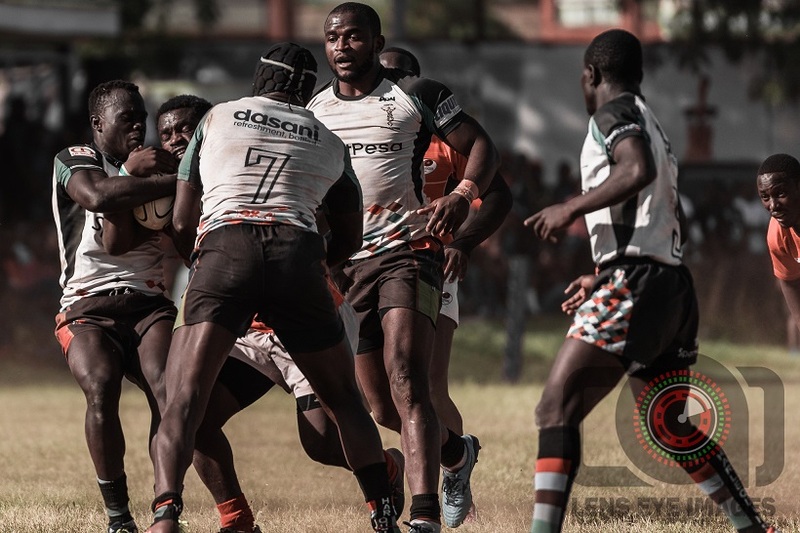 Tony Mutai scored a hattrick as Kenya Harlequin beat Championship side Ngong Warriors 80-3 in the first round of the Enterprise Cup at RFUEA Grounds on Sat Feb 2, 2019. Quins ran in 14 tries and five conversions against Ngong's penalty. The visiting side had two penalty kicks go wide on either half. Quins were however not as flawless as you would expect against the Championship side. Joining Mutai on the scoresheet was Aaron Oforywroth, Scott Oluoch(2) Frank Wanyama, Jasper Ochen(2), Aluda Beda, Matt Wanjia, Willy Ambaka, Herman Humwa and Dominic Osino. Quins progress to pre-quarters of the Enterprise Cup where they will play Homeboyz at Jamhuri Showground. Before that, they host Kabras Sugar in the ninth round of the Kenya Cup next weekend.